Change The Way You Think About Your Blog, And Others Will See It Differently Too. We tend to view our blogs as only a medium where we post information, which often creates a disconnect between the content you offer and the customers who read it. Let’s start thinking of it, differently. Imagine your blog is like a grocery store and your content, its food. A welcoming online destination, your blog is where people can go shopping for knowledge and the currency they use, is their time. When using this analogy, can you confidently say that the content you supply fills the demands of your online audiences, who are hungry for satisfying knowledge? If you cannot, then your competitors are doing it instead, as this demand must be filled regularly. Therefore, readers spend less time where you want it the most, on your blog. Every day, there are over 4 million blog posts published on the Internet, and the average person scrolls 300 feet of social media content daily. That is an astonishing amount of information for your audience to consume, and ample opportunity for them to choose articles from any blog, so why should they pick yours? Do your blog posts offer sweet ideas or salty news? Are the content’s ingredients, like a bite-size snack or full course meal? Ultimately, your blog is a form of supply and demand. The content which you supply must meet the “demands” of your readers, or they will go elsewhere. A 2018 study revealed, the average American adult spends more than 11 hours per day interacting or engaging with some type of online media. To put this in perspective there are 168 hours in every week, and 77 of them are spent online. It is best to become aware of what your audience enjoys and to make it simply irresistible. Your blog must always be healthy, free of junk, and fully stocked. To ensure there are returning, “Content customers,” it is vital your blog regularly stocks its shelves with useful, short and long-form, information. It is important to offer different sizes of content to provide your readers with options and to expand your audience base. Some people enjoy “edible” content, which is short and to the point, whereas, others prefer longer blog posts that require them to sit down to read. Besides their differences in blog post length, readers also have different tastes in content style. As one person’s favorite food is spaghetti, other people might prefer cheeseburgers, or apple pie, instead. Apply this same type of thinking when creating blog content to supply your readers with information they enjoy, while remaining relevant to your brand in the process. Similar to the types of hunger we feel for our favorite foods, we experience a yearning for diverse content, as well. At first, the thought of eating pizza every day sounds like a dream, but after the first week or month, we definitely would seek a different type of diet. The same kind of process occurs with the content we choose to digest regularly. If what we consume is always the same, we will eventually become bored, disinterested, and go in search of variety. For you to keep the “taste buds” of your readers’ minds, happy and craving more, you must offer a blog stocked full of diverse content. It is not only essential to know the different ways to keep your blog fully stocked, but you must also learn that overstocking it, can be detrimental. The Writing Cooperative conducted a study and found that blogging every day decreased their views to when they were posting just six times a month. Post because you have value to share and not out of necessity. It is up to you to keep your knowledge of the industry, product, and brand information fresh, to never be in the position where you run out of content to post. Depending on the amount of information you have available, will determine the size and type of content you write. Furthermore, you must always offer an assortment of content people find informative, entertaining, and useful. Product Tips – How-tos, alternative uses, and tips that provide better product experiences. Life Hacks – Creates convenience, methods on how to overcome obstacles, makes things easier to do, provides instant gratification. Historical Facts – Unknown knowledge about places, products, brands, and famous figures that is attention-grabbing. Relevant And Surprising Statistics – Provides proof that backs up your information, creates a new perspective, offers information to share. Do It Yourself Projects (DIY) – Produces a sense of achievement, expands skills, is a teaching/learning experience. Nostalgia – Brings back old memories, creates a sense of attachment, is highly relatable. Emotes Emotion/Causes A Reaction – Creative (clean and non-offensive) jokes, motivational quotes, inspirational stories, thought-provoking questions, which often makes people want to take action. It is also up to you to conduct research and stay informed about readers demands to keep them gobbling up the information you supply. Pay Close Attention To Analytics – Regularly review your analytics to uncover what your readers “like a little” versus what they “like a lot.” Carefully look at what days they prefer to read your blog posts and look for a pattern of content they love. Check Trending Topics – Use the “Trending” sections on various social sites to gain a better understanding of what readers are interested in, right now, and use it to your advantage. Refrain from applying any that are not related or relevant to your business, brand. Ask Probing Questions – There is no better way to find out information than by directly asking your audience about their preferences. Learn why they like a particular topic or post. Create An Online Poll – List two or more relevant topics and encourage your audience to share which of them they like best. Engage In Conversation – If there is an ongoing conversation happening on a blog post you shared by audience members, jump in and take part. This is your opportunity to learn from them organically, using engagement. Be careful not to become stuck in practicing only one method of blogging, which is easy to do. When we think about blogging, we often believe it needs only to contain words, but this is incorrect. Although some words are necessary to ensure there is substance to your post, it should also include a mixture of relevant pictures, drawings, photographs, screencasts, and videos. A study by Hubspot, shines a light on the value of variety, as not everyone likes to read blog posts. It reveals, 53% of consumers said they’d like to see more videos in the future. 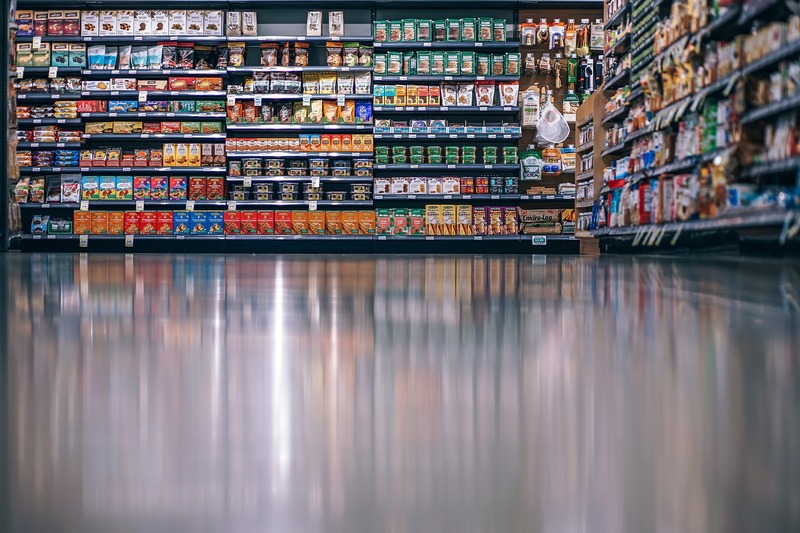 Your blog is like a grocery store in many ways. It must mix-up and alternate, the types, sizes, and substances of its contents to keep it fully stocked, but not overstocked. Eventually, you will have more and more people gobbling up the quality information your blog provides, and like any great meal, share it with their family and friends. A seasoned Digital Marketer, Brander, and Content Writer, Amanda has been caught up in "all things Internet" for over a decade, sharing helpful information readers can actually use.